What comes to mind when you say Vienna, Austria? For some, it may be ‘’music,’’ ‘’Mozart,’’ or ‘’apple strudel,’’ while others may reference the royal Hofburgs or Habsburgs families. 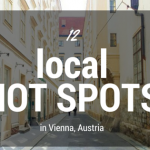 Perhaps others will think Vienna is ‘’another city in Europe,’’ but what many may not know is that Vienna is ranked number one with the highest quality of living, and is one of the safest cities in the world. Plus, this city provides consistent class, culture, history and events for visitors and locals to enjoy. 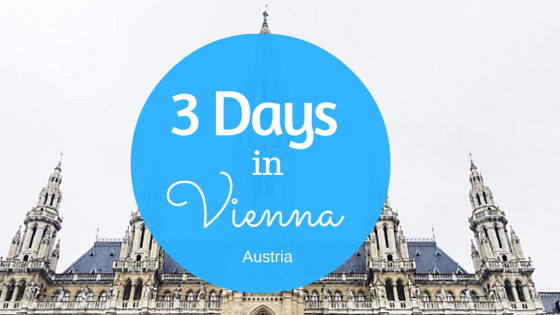 So how does spending 3 days in a fantastic city in Austria sound to you? Check out the full itinerary below to make the most of your Viennese holiday. Enjoy! Start your morning having breakfast at Ulrich, a hip and cool restaurant known for their creative and delicious food. 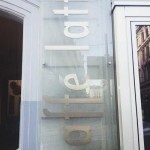 Their home-made Chai tea, egg and bacon sandwich, as well as their avocado bread are recommendable choices. Once you complete your meal, start your Viennese adventure by taking a short walk to the Museums Quarter (‘’MQ’’). The MQ has an inner courtyard with funky lounge furniture, cafés and two main museums — The Mumok (Modern Art) and the Leopold (Austrian Impressionism). The Mumok presents changing contemporary art exhibitions as well as permanent collections of classical modernism, while the Leopold features work from Gustav Klimt, one of the greatest artists of Austrian art. The MQ also has smaller museums such as the Children’s Museum and Austrian architecture museum. Then take a stroll around Maria-Theresien-Platz, a public square named after the Empress Maria Theresa, the only female ruler of the Habsburgs and reformer of public education. This square sits in front of the MQ and holds two massive art museums that face each other — the Kunsthistorisches Museum (Fine Arts Museum) and the Naturhistorisches Museum (Museum of Natural History). The Fine Arts Museum features Greek, Roman and Egyptian collections while the Museum of Natural History holds the largest collection of meteorites, animal displays and pre-historic art like ”Venus of Willendorf,” a statuette of a curvy-shaped female figure from the years 28,000 to 25,000 BCE. 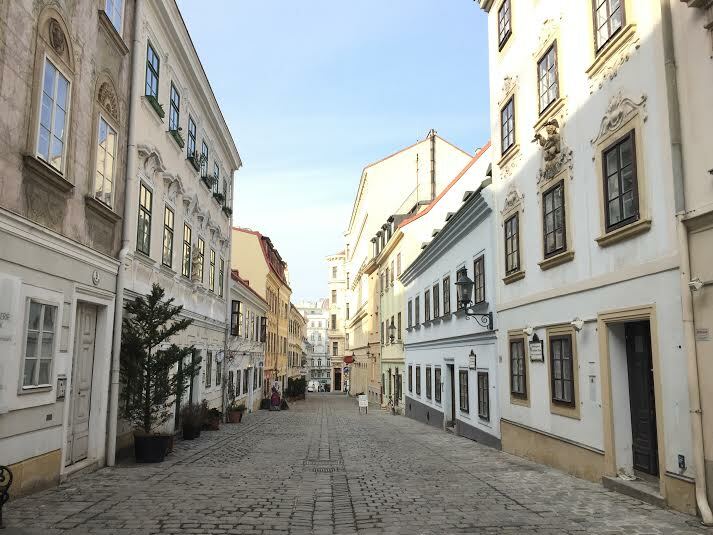 A little walk from this square takes you to Burgring on the Ringstrasse — the most beautiful boulevard in the world that features some of the most prominent must-see sights in Vienna, such as the City Hall and the State Opera. From the Ringstrasse, you have the option of taking a tram around the boulevard and getting off at the sights, or you can simply walk to them (see ‘’Practical Information Section – Good to Know’’ for more info). Start your journey on this boulevard to the left, where the first sight you will see is the Austrian Parliament building. Here, the two chambers of the Austrian parliament (the National and Federal Councils) have conducted their political sessions since 1833. This building is known for its ancient Greek architecture and has goddess Athena at the top of the prominent fountain. One joke among the Viennese is that the goddess herself was so disgusted by the political fighting inside the Parliament, that she turned her back to the building! A brief walk from the Parliament will take you to the Rathaus, or Vienna’s City Hall, an incredible Gothic-styled monumental building from the late 1800’s. This is the place where the city’s biggest events are held: everything from the famous “Christmas Market”, to “Winter on Ice” and the “Life Ball.” Go across the street to marvel at the Burgtheater, otherwise known as the Austrian National Theater, one of the most important German language theaters in the world. 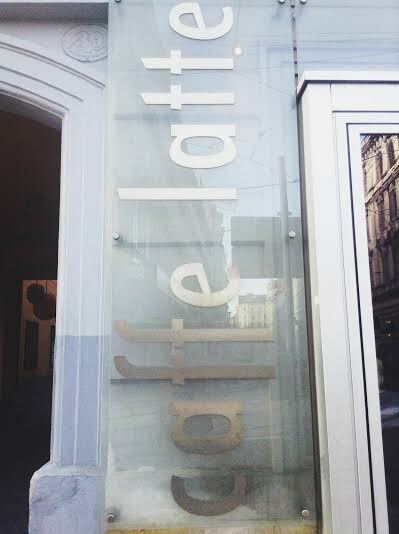 Take a peek, or have a break at Cafe Landtmann, an elegant Viennese café and tourist hot-spot founded in 1873. Sigmund Freud, the famous psychologist, was a frequent customer here. Next to the Burgtheater is Volksgarten, translated as ‘’The People’s Garden,” and it is part of the Hofburg Palace. In the centre of the garden is the neoclassical Theseus Temple, a small-scale replica of the Temple of Hephaestus in Athens. You will be in for quite the treat if you come when all the beautiful flowers and rose gardens are in bloom! Walk through the garden until you see Heldenplatz (Heroes Square) — a large public square in front of the Hofburg’s residence. This is where the offices of the President of Austria are located. Also, in 1938, Adolf Hitler’s ceremonial announcement of the Austrian Anschluss (the invasion and forced incorporation by Nazi Germany) took place here. On the plaza are two equestrian statues and the Austrian National Library Square, which houses an incredibly large and ornate public library with 7.4 million items in its collections. Consider a visit to the State Hall, an incredibly elaborate library with more than 200,000 volumes, and the entire place looks like it was inspired for the famous dancing scene in Beauty and the Beast! Behind the library is Burggarten, another imperial garden, where you can take a picture alongside a statue of Mozart. As you walk through the Hofburg residence, pass through the Sisi Apartments which you can take a tour to learn more about Princess Sisi, Austria’s most misunderstood Empress, and see the once lavish lifestyle of Austria’s last Imperial family. Nearby is the Imperial Spanish Riding School, the only riding school in the world where the classic equestrian skills (haute école) are preserved and practised in its original form. Eventually you come out onto Michaelerplatz (St. Michael’s Place) with the domed Michaelertrakt, a Neo-Baroque monument. In the middle of Michaelerplatz are excavated Roman ruins of a house with medieval foundations. One part of the circular area has St. Michael’s Church from 1792, dedicated to the Archangel Michael. It is one of the oldest churches in Vienna and one of the few remaining Romanesque buildings in the city. Stroll over to Demel, a famous pastry and chocolate shop built in 1786 that once served the royal court. Order a sweet treat for here” or “to go” — like a Sacher-Torte (famous Viennese chocolate cake with an apricot filling ) or an apple strudel, and head to the back of the shop to watch bakers prepare their Viennese delicacies. 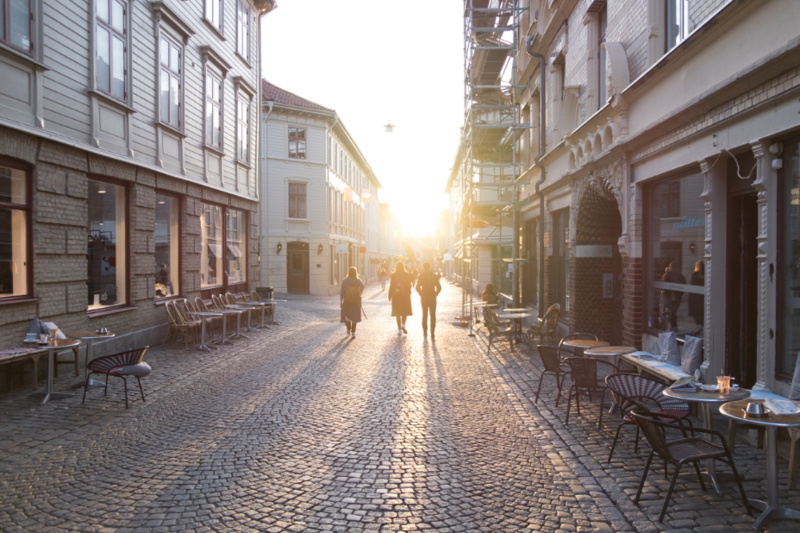 After Demel, do some window shopping at the Golden Quarter, a luxury shopping street. Walk around Stephansplatz that features the famous Stephansdom (St. Stephan’s Cathedral), which was founded in 1137. The Cathedral is famous for its Roman and Gothic-styled architecture and for being the mother church of Vienna’s Roman Catholic Archdiocese. An English Mass is held every Saturday at 17:00. Rich in history, Stephansdom features guided tours of their catacombs (where the skeletal remains from the Black Plague from the 14th century are buried) and a 343 step tower climb where you can see the stunning sights of the city. 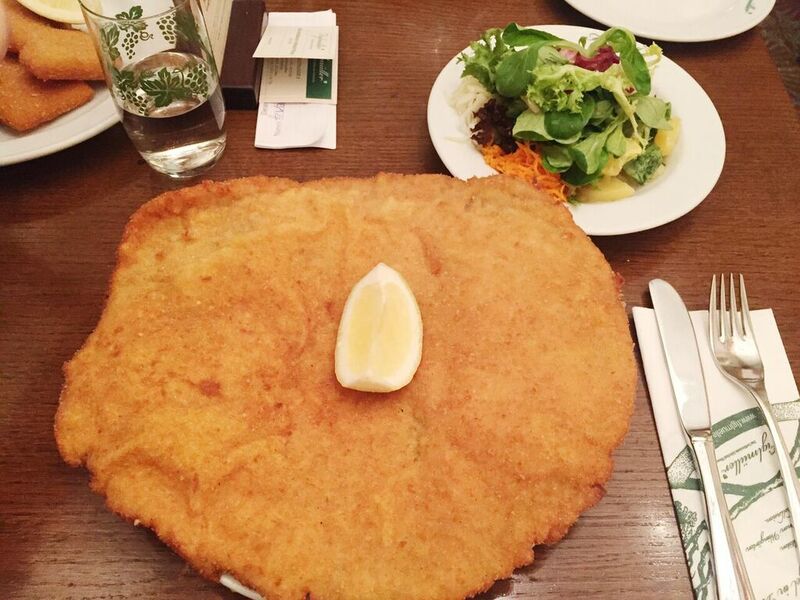 Have dinner nearby at Figlmüller, the ”home of the schnitzel” for more than 100 years, where you can order their original Wiener Schnitzel with potato salad. Top the night with ice-cream at Eis Greissler, a nearby Austrian ice-cream parlour with excellent home-made organic ice-cream (even providing vegan options)! Start your morning by having breakfast in the beautiful Viennese surroundings at Haas und Haas, a relaxing café that serves a large variety of appetizing international teas and breakfasts. Also, make sure to check out their tea shop next door! Then take your time walking down Kärtnerstrasse, a famous shopping street and eventually end up at the Vienna State Opera House, one of the top opera houses in the world. This masterpiece from the 19th century provides first-class performances with over 50 operas and ballet shows 300 days per year. Next door is the Albertina Museum, known for its elegant staterooms and valuable art collections (such as Monet and Picasso paintings). Nearby is the famous sausage stand, Bitzingers – well known for their Kasekrainer (a cheese-stuffed sausage). A few blocks away, is the Naschmarkt, a large space with restaurants and a farmer’s market that sells fresh fruits, vegetables, exotic spices, meats, and other international goodies. Only a few minutes away is the Secession Contemporary Art Building with its ever-changing collection of modern Austrian artwork. Next door is another “must see” – Karlsplatz (or Charles Square), with the incredibly large Baroque-styled church of St. Charles built in 1737. Tours of the inside are available for a reasonable price. 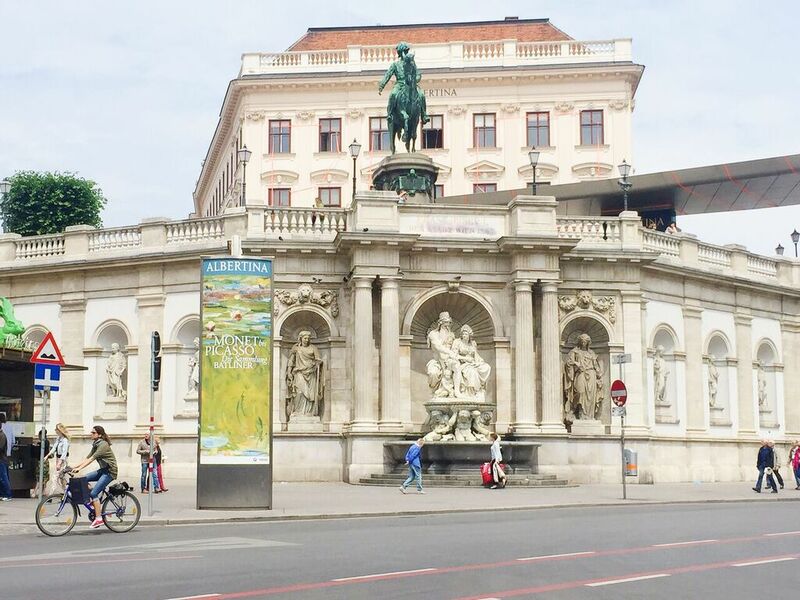 Nearby, check out Hochstrahlbrunnen, a fountain that shows respect for the first water supply system in Vienna. Then, travel to Belvedere Palace, an exquisite palace from the 1700’s. Take your time exploring the beautiful and extensive palace grounds, and tour inside the two buildings to see the exquisite collection of famous artwork including some of Gustav Klimt’s pieces. Spend your evening at Prater, one of the oldest amusement parks in the world. Take a ride on the Wiener Riesenrad, a giant Ferris wheel and famous Vienna landmark that was built in 1897. Later, have dinner at The Schweizerhaus restaurant or the Luftburg restaurant, and order their Bavarian speciality, the Stelze (pork knuckle) with a dark Austrian beer. Next, take a tram ride over to the area known as the Hundertwasserhaus; here you can snap photos of the whimsical and artistic apartments and side walks styled by the Austrian artist Hundertwasser. Spend the majority of your day having fun at the 17th century Schönbrunn Palace, the summer residence of the Habsburg dynasty and a UNESCO World Heritage site. There are several gardens that surround the palace, all beautiful during the warm months (when the flowers are in bloom), but if you come in the cooler months, you can still admire the palace with its Neptune Fountain and the gorgeous Gloriette monument at the top of the hill. There are also guided tours for inside the palace, as well as a palace maze, a cafe, a tropical palm house and a zoo to explore. Additionally, check out the wine tavern village of Grinzing and have some good wine and food at Feuerwehr Wagner, a family-owned establishment that has a 300 year old vineyard. Enjoy their buffet with seasonal specialities while sipping on their Wiener Melodie wine. 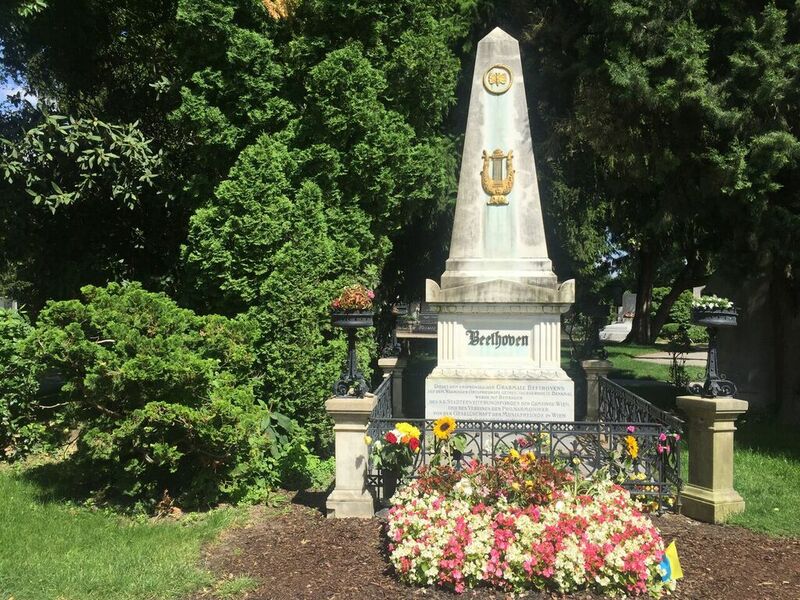 If you have more time and are willing to make the trip, visit the Central Cemetery and see the burial grounds of famous musicians like Beethoven, Strauss, and Schubert to name a few. End your last night in Vienna by taking a night walk in first district eating some of the best gelato in the city at Ferrari Gelato, located near the Opera House. The almond and caramel flavours are so flavourful and delicious! To find out how to get from A to B in Vienna or detailed information for all public transportation lines go on wienerlinien.at, or use the app Quando. A valid photo-ID is sufficient when travelling around Vienna. Please make sure you always have cash on you because some stores and restaurants do not accept credit cards. Otherwise major credit cards are accepted in credit-card friendly spots. There are plenty of ATMs (automated teller machines) for you to take out money. Most banks are open Monday to Friday from 8:00am – 12:30pm and from 1:30pm – 3:00pm and on Thursdays open until 5:30pm. In the city center (1st district) almost all the banks are open after lunchtime. Tipping: Tip 5-10%, or simply round up your bill. 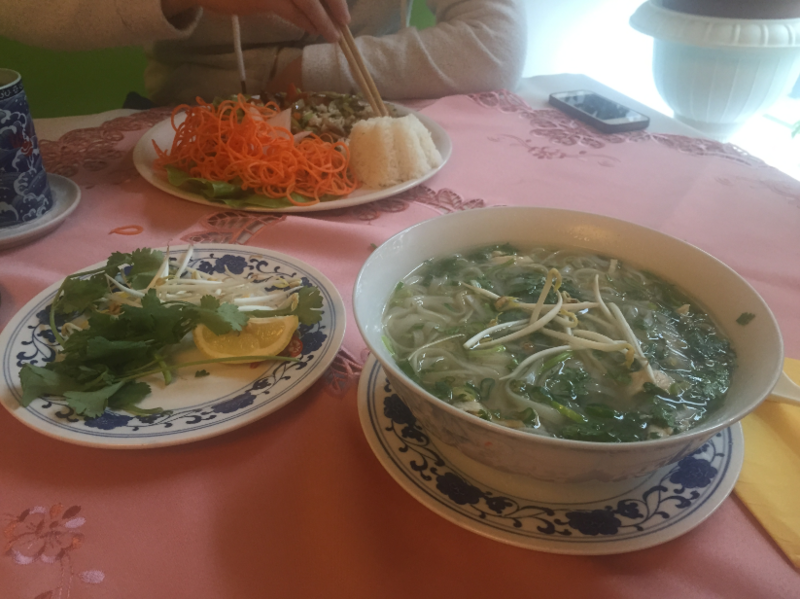 Meal times: Most restaurants in the city center are open daily. 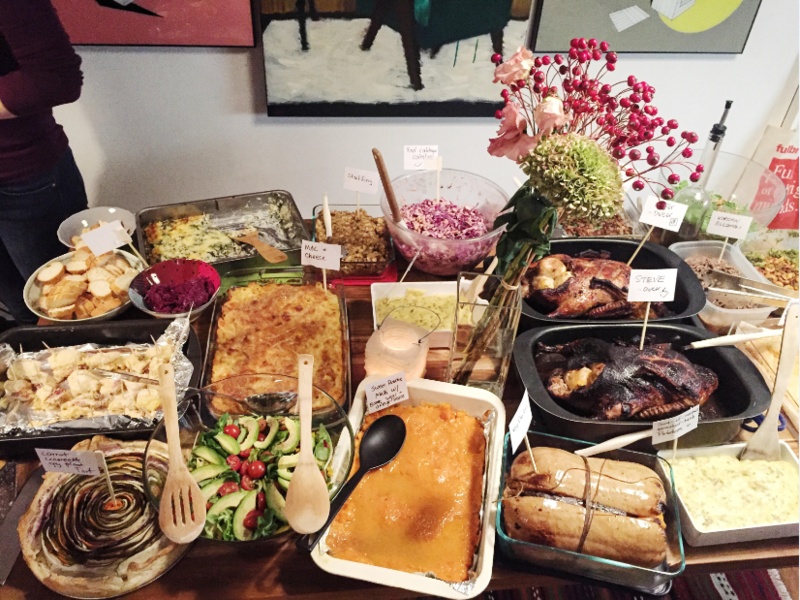 Food is generally served throughout the day or offered from 11.00 am – 2.00 pm and 6.00 pm – 10.00 pm. Some restaurants are closed on one day each week, sometimes on Sundays as well. However Viennese sausage stands are usually open all night. Shop Hours: Shops are usually open Monday – Friday from 9.00 am – 6.30 pm, Saturday until 5.00/6.00 pm, and some shopping centers are open until 8.00/9:00 pm Monday – Friday. The majority of grocery stores (except a rare few) are closed on Sundays. On Sundays and holidays shopping is available  at tourist attractions, large railway stations, the airport and museum shops. Bring cash with you at all times because some restaurants and attractions do not accept credit cards, otherwise all major credit cards are accepted. If you don’t want to do too much walking yet see the main sights on the Ringstrasse, take Tram #1 and get off at any place of your choosing. End the tram ride at Schwedenplatz to transfer onto Tram #2 to see the rest of the sights. Consider making reservations ahead of time at any restaurants and cafés you want to dine at. Making one will ensure you a seat you can easily attain once you come in. Watch your volume when speaking, especially if you dine out. There are policies about noise level in certain restaurants and attractions. Check out this video I made in partnership with Expedia UK! 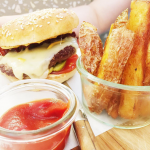 Good Burgers, Fresh Strawberries and More in Vienna, Austria! Wonderful guide! Thank you for sharing it! Thank you for your feedback, Lola! Wish I had known about your blog sooner! Thanks for sharing your knowledge of Vienna! Oh, I wish you had too… but thanks for your comment and being here, Wanda! This is going to be my go to link share for anyone who comes to visit us in VIenna for the first time. Nice work! 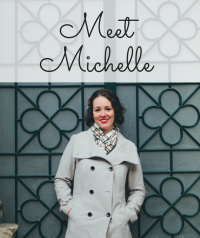 Hi Michelle, thanks for your guide. I will be visiting Vienna solo in first week of April. What’s the best way to buy an affordable ticket to the opera? Thanks a lot! I suggest you purchase standing-room tickets. They are super cheap and a great way to see the wonderful opera on a budget. I am planning ti Vienna in July. I would like to visit the places on this site. I wonder if they are close to each other. Do I need to commute via public transportation, if so, how long? Is there any walking distance among them? For Day 1 you can easily walk to all spots, but you can get tired, so there is transportation to take and you can use the City Transportation App Qando (or website http://www.wienerlinien.at/eportal3/). Day 2, you can walk through the first 5 suggested spots just fine, but from Karlspplatz to Belvedere you will want to take a tram up there (or if you have the energy, can totally do the walk — I’ve done it several times and is about 15 minutes). But for Prater, it is far away from the suggested places, so public transportation works. Day 3- the places are quite spread out, some a couple of tram rides will do the trick. 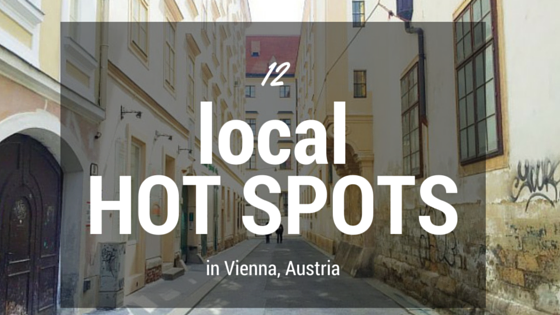 You actually inspired me to create a Google Maps Guide for this blog post – so I can show people where exactly all the places are in Vienna. Thanks Louise, let me know if you have any more questions! Thank you , Michelle, for your kind reply. Did you also go on a Danube Cruise to Bratislava? Did you also go to Budapest from Vienna? If you did, how do you do it? Thank you for sharing. Unfortunately I have not been on the Danube Cruise so do no have experience with it…perhaps Viator.com would have good details on such trips! Best wishes and have fun in Vienna! Thank you for replies and your articles. My family and I will be going to Austria soon. Your articles are very informative and useful. Thank you again. I would also like to know what is good to buy for souvenir? I don’t need any upscale brands or shopping. There are a lot already in the US. I wonder if there are any local arts and designs, fashions and nice stuff to bring back? Thank you again for your time. For souvenirs: I like to purchase Mozart Kugel chocolate balls (found at major grocery stores and Heindl chocolate stores), Pumpkin Seed oil, and Viennese coffee from Jonas Reindl. 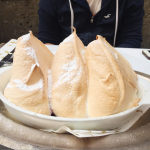 I actually recommend the Jonas Reindl shop for Viennese foods and products. You forgot to mention Manner Schnitten, Demel has Sacher Torte in wooden gift boxes to take back home and of course Julius Meinl coffee, There is just so much to choose from. Yes…there are so much to choose from. Thanks for your input! Motel One Wien Westbahnhof is my number 1 recommendation. Good prices in a great location! If I wanted to make dinner reservations in advance what time should I be making them for? We are planning our trip for mid November. if I buy the 72 hour Vienna pass with transportation are there any other tickets I need to buy in advance? If we wanted to hire a guide for a few hours do you have any suggestions and what would you suggest they guide us on? -For dinner reservations, I suggest earliest time to be 6pm. -If the 72 Hour pass includes transportation, then you don’t need to buy additional tickets! Where did you stay? Where you happy with the location of your hotel or did you wish you stayed in a different location? Hope to hear from you back. Thank you! 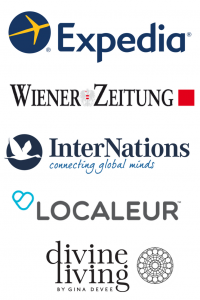 My parents were happy with Motel One Wien Westbahnhof Hotel, and that is the hotel I recommend to everyone due to the price, quality and location. Other than that, I’ve rented AirBnb’s around the area, and now have my own apartment in the 6th district. Best wishes!